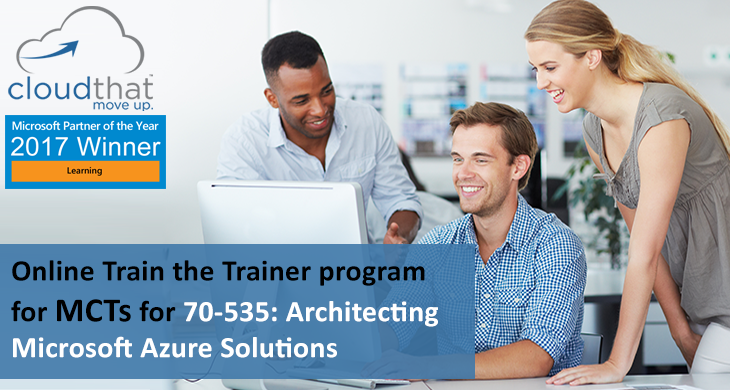 We are excited to announce our intense trainer readiness program for Certification Exam 70-535: Architecting Microsoft Azure Solutions. This is exclusive online instructor led training program that will help you to deliver training for Certification Exam 70-535: Architecting Microsoft Azure Solutions. The program’s training methodology is a combination of hands-on labs and interactive theory sessions. 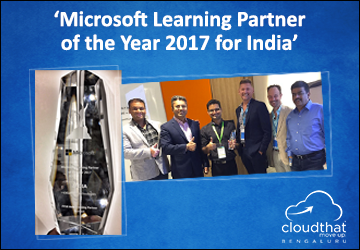 Microsoft Certified Trainers and Consultants at CloudThat Technologies (Award winner: Microsoft Learning Partner of the year 2017 for India). This session is being offered exclusively in USA time zone. All session timings mentioned are local times in the respective time zones. The set of sessions listed above are exclusively offered for audience with mentioned background, and hence we expect your commitment in having the right set of attendees, who meet the criteria. So, you can avail maximum benefit from the program.